So you’ve passed your test and are ready to hit the road with your own motor? You might be dreaming of something sleek and spacious, maybe with a soft top and a 2.0 litre engine – but the reality of the cost of first cars will probably bring you down to earth. Purchase price is just the start – then you have the expense of servicing and repairs, fuel, tax and insurance. Need a quote for insurance for a first car? Call one of our friendly advisors now on 0330 123 0405 – or request a free callback. We can guide you on good first cars for cheaper insurance. The reality is that for several reasons – mostly to do with cost – your first car is likely to be small and humble. 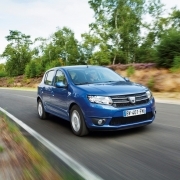 All the models we’ve picked here are ideal first cars, and are some of the cheapest to insure. But every new driver has slightly different preferences when choosing a first car – so we’ve picked five of our favourites according to priority. 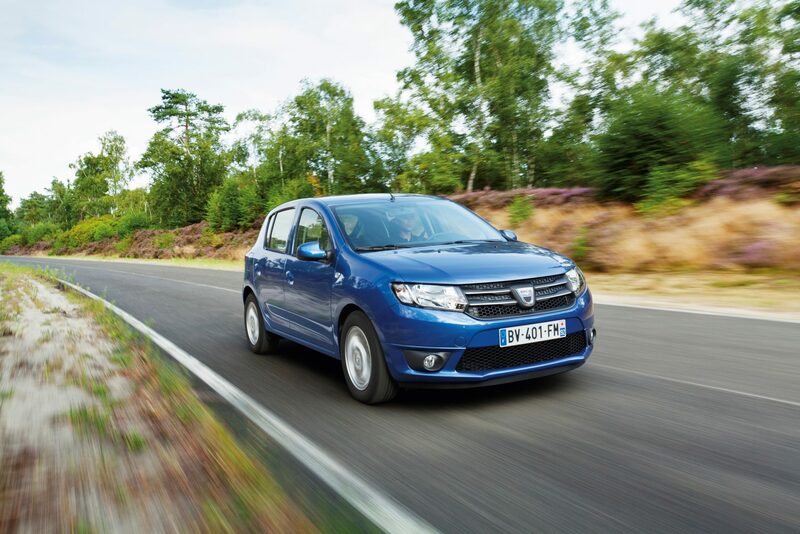 When it comes to purchase price, the Dacia Sandero hatchback (£5,995 – £9,795), can’t be beaten. OK, it’s not the coolest-looking car – and it’s short of features that you might be forgiven for thinking standard, like a radio and central locking. But its price, especially if you bought a second-hand model, is very attractive indeed. Just be aware that its crash safety rating (according to the Euro NCAP crash-safety experts) is the lowest of our selection. Insurance should be a major consideration when buying a first car. Get a quick quote by calling us on 0330 123 0405. Or take 10 minutes to fill out our young person’s car insurance form, which will help us serve you better. one of the few cars in our selection to be awarded the maximum five stars by the Euro NCAP crash-safety experts. Skoda used to be almost a joke brand – but since they were bought by Volkswagon, they’ve managed to incorporate the best of VW cool while keeping the lower price tag. If it’s cool you’re looking for, you don’t need to look much further than the Mini hatchback (£14,075 – £21,400). It’s not the cheapest or most practical first car for a young driver. But let’s face it, it oozes style – and has decent running costs, returning up to 60mpg and costing just £20 a year to tax. The insurance costs might put you off, on the other hand, with the lowest insurance group for a Mini being 11 (of 50). 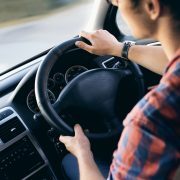 Need advice about insurance for a first car? Give us a call on 0330 123 0405 or request a callback. One of expert advisors will be happy to help. What if you play sports, travel a lot – or have to transport merchandise for work? Most of the cars we’ve chosen as best for young drivers are small verging on tiny. Good for turning and parking – but less impressive on the motorway, or when packing a cello! The Hyundai i20 (£10,995 – £17,700) is the exception, with a big boot and generally very roomy feel. Just be aware that it’s not a brilliant performer – and there’s only one model (the 1.1 CRDi 75PS S Blue 5dr) that qualifies for zero tax. After the expense of buying a car, it’s nice to know you’re keeping running costs to a minimum while being a good friend to the environment. The Hyundai i10 hatchback (£8,995 – £13,045) is a great choice in this regard. The 1.0 litre version returns 65.7mpg and is free to tax. Another important factor is that the cheapest model – the S 1.0 Manual 66PS 5dr – sits in insurance group 1, meaning that insurance (while always high for young drivers), won’t break the bank. To get a quote for a first car, or advice about cheapest first cars to insure, call us on 0330 123 0405 – or request a free callback. 3 key things to think about before buying your first car! So you’ve passed your test and have saved up enough to start thinking about buying your own car. It’s an exciting time and you’ll probably be fantasising about nipping around town in a sporty cabriolet. But the truth is, your first car is probably going to be a lot less flashy –when you look at the reality of the cost, taking into account not just the price of the car itself, but maintenance, fuel and insurance. We know that buying your first car can be a confusing time, but if you do your research and consider the following points, it’s easy to avoid making an expensive mistake. Obviously not all months will be the same in terms of costs, so it’s good to make an estimate of your yearly expenses and divide the total by 12. Of course, if you’ve never had a car before, this might seem like an impossible task. The best thing is to talk to someone sensible who’s owned a car for years and has a good head for numbers. They may also be able to warn you about some of the hidden costs of car ownership. When it comes to buying your first car, this can seem like a major question. But the fact is, for a young person living on a normal salary, there’s only one real answer. A brand new car might wow your friends and be your most exciting purchase ever – but in financial terms it makes very little sense. As well as being much more expensive to start with, new cars depreciate massively once they’re on the road, especially in their first year. So if you’re looking for something modern and shiny, you’re much better off buying last year’s model. What’s more, a slightly older car, while almost as reliable, will cost you less to insure. Statistically, your first few months of driving are when you’re most likely to have an accident. Coupled with an expensive new car, that will be a red flag to insurance companies. Will they insure you? Yes. Will you pay through the nose for it? You bet! It’s tempting to think in terms of what looks and sounds good. But what are you actually going to use your car for, when, and where? If you’re going to be parking in a city, do you really want to be stressing about dents and scratches? Likewise, if you’re going to be commuting in heavy traffic, have you thought about the relationship between engine size and fuel costs? How much does a full tank of petrol/diesel cost? Are there any features or factors they wished they’d considered before buying their car? How much have spare parts cost and how easy have they been to get hold of? How much do they pay in insurance? Lastly, don’t forget to enjoy the process. Think of it as an important step in a driver’s life. You can collect all kinds of motor-related facts to wow your friends. And you never know, they might buy you a pint in exchange for your expertise when it comes to buying their first car!